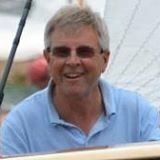 David Greening is an experienced professional and has worked as a qualified Marine Surveyor and Naval Architect of sailing yachts and powerboats for the past 15 years. He is a full Member of the Yacht Designers and Surveyors Association, the Royal Institution of Naval Architects and the British Marine Federation. Following the degree he worked for leading British boat builders Bowman Yachts as an in-house designer and project manager, followed by a spell at Northshore Yacht Yards to introduce their RCD compliance programme. At this time David had also been shadowing a local marine surveyor and eventually it was time for to hang out his own shingle. Now based in Salcombe, he carries out Surveys, MCA Coding and Recreational Craft Directive Consultancy throughout Devon, Cornwall and the South West, mostly in the South Devon harbours and marinas of Plymouth, Newton Ferrers, Totnes, Dartmouth, Noss-on-Dart, Kingswear, Brixham, Torquay as well as Salcombe. Although most of his work is in the South West, David is happy to travel further afield upon request and is often found around the Solent or abroad. 15 years on, David now offers Marine Surveying, MCA Coding and Recreational Craft Directive Consultancy throughout the South West. In his spare time David regularly races a Salcombe Yawl and cruises in a classic clinker launch built by Nick Smith. He recently served as Commodore of Salcombe Yacht Club.